Tibet Society is the world’s first ever Tibet support group. The Society was founded in 1959, within weeks of the flight of the Dalai Lama from Tibet following the uprising against China’s occupation. Today, the organisation continues to work actively for the freedom of the Tibetan people and their right to self-determination. All the founders of Tibet Society had personal knowledge of an independent and free Tibet, having either lived in Lhasa or had direct dealings with the Tibetan government. Hugh Richardson, the British Representative in Tibet, was among the dignitaries who greeted the young Dalai Lama when, in 1939, aged just four, he first entered Lhasa. Heinrich Harrer, when in Lhasa in the 1940s, coached the Dalai Lama in English and maths. Robert Ford, who remained Vice President until his death in 2013, was captured and imprisoned for five years by the invading Chinese army in 1950 when serving as radio officer to the Tibetan Government. Well known High Court Judge and founder of the Buddhist Society, Christmas Humphreys, first met the Dalai Lama in 1956. 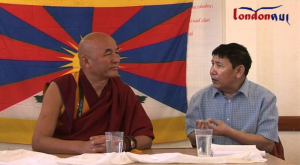 Pempa Lobsang is the former Chairman of the Tibetan Community in Britain. Pempa is an active member of the Tibetan community and having served on the council for the community for over 7 years, he has intimate knowledge of the workings of the Tibetan community and is well placed to represent the views of the community and contribute to the work of The Society to benefit all Tibetans. Pempa is an alumnus of the Pestalozzi Children’s Village and a qualified accountant by profession. He currently works for an insurance company in the City as a Senior Accountant. He is also a keen footballer and is part of the London Tibetan Football Club. Fredrick ‘Riki’ Hyde-Chambers is the former chairman of the Tibet Society of the UK and Hon President of the Tibet Relief Fund. He currently serves as a council member. He has been involved in the campaign for justice for Tibet all his adult life and has authored three books on Tibet: ‘Lama’ a novel published in seven countries; the ‘Mouse King’ with Yeshe published by Puffin’ ‘Tibetan Folktales’ with Audrey Hyde-Chambers published by Shambhala Publications. Professionally, he served for many years as Director of the Industry and Parliamentary Trust, receiving the OBE for services to Industry and Parliament, and is currently the Executive Chairman of Enterprise and Parliamentary Dialogue International which works in countries in transition, with a particular focus on Georgia and Africa. He is also Chairman of the Buddhist Chaplaincy Support Group. 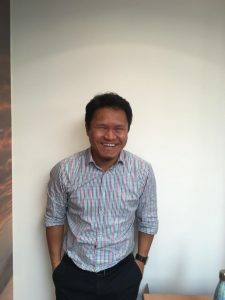 Dalha Tsering is the current Chairman of the Tibetan Community in Britain. Jenny has been a valued member of the Tibet Society for the last 30 years and in early 2018 decided to increase her support by producing a monthly Society newsletter. This ties in nicely with her role as Editor of Contact Magazine – a digest of Tibetan news and issues – which is published in India and online and is an excellent way to read the latest news about Tibet. Jenny is a regular visitor to McLeod Ganj, the seat of the Tibetan Government-in-Exile and residence of His Holiness the Dalai Lama, which keeps her up to date with what is going on in the Tibetan exile world. She lives in Shropshire.